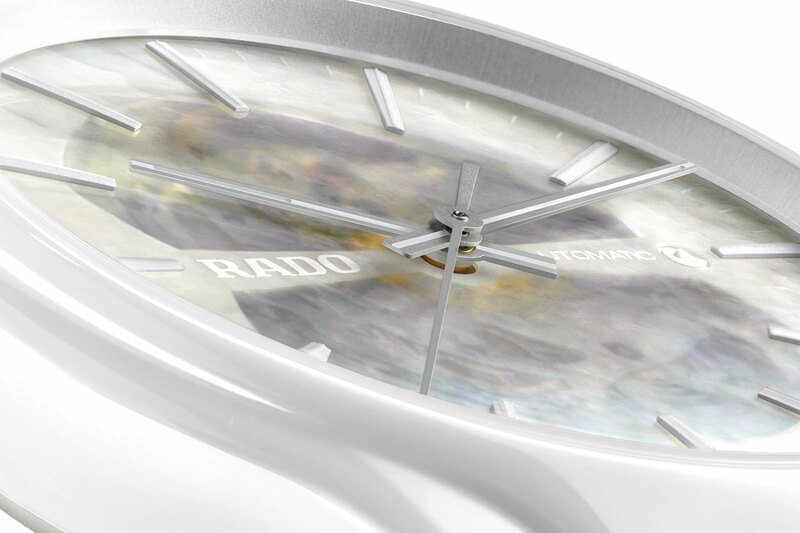 Entirely clad in high-tech white ceramic, the new True Open Heart immediately immerses us into the avant-garde world of Rado. Ultra-light yet five times harder than steel, the elegant material is the unmistakable signature of the Swatch Group brand. Both non-metallic and hypoallergenic, it fits like a second skin that is particularly suited to wrists that find it hard to bear metal. The pure lines of the monobloc case are matched by the refined elegance of the diaphanous dial. 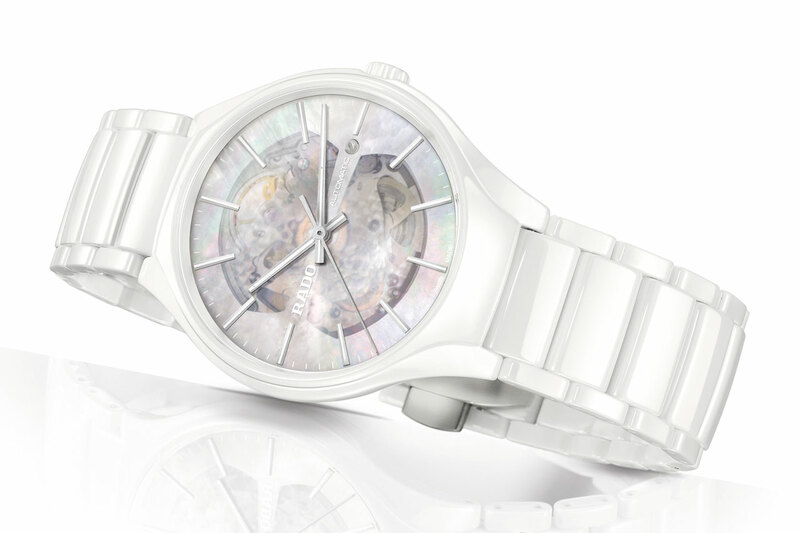 A stylised cut-out in the mother-of-pearl plate barely a few tenths of a millimetre thick provides a tantalising glimpse of the mechanical movement without revealing its secret. This shimmering face radiates an aura of gentle mystery procuring perpetually renewed visual pleasures. This True Open Heart is issued in a 500-piece limited edition. Mechanical automatic, ETA C07.631 calibre, 11½ lignes, 25 jewels, up to 80-hour power reserve. Monobloc construction in polished high-tech white ceramic, 40.1 mm. Convex sapphire crystal, sandblasted PVD-treated titanium caseback. Water-resistant to 5 bar (50 m/165 ft). Three-row high-tech ceramic, titanium folding clasp. 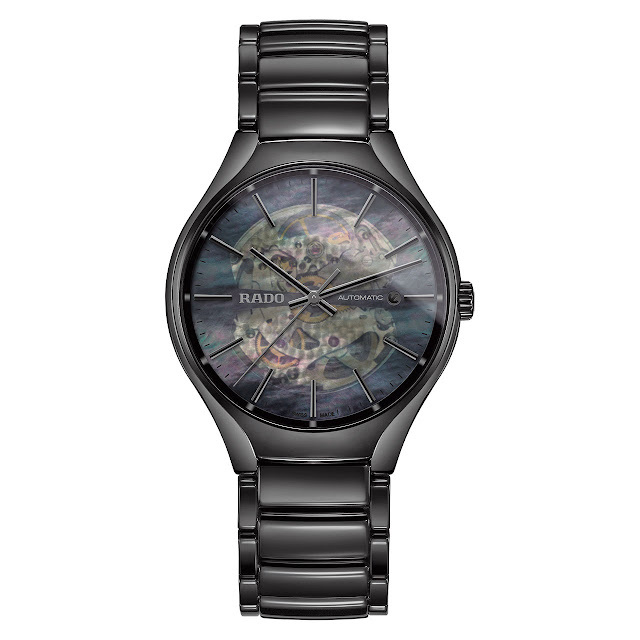 Matt black ceramic case and bracelet with black mother-of-pearl dial.